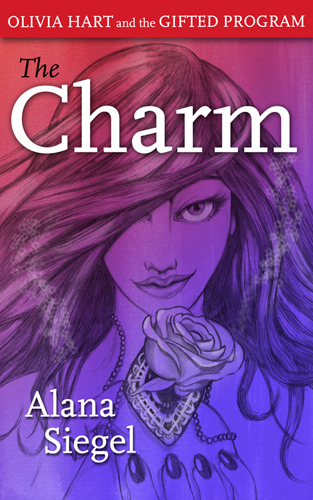 THE CHARM is a young adult fantasy novel and book #1 in the Olivia Hart and the Gifted Program series. Imagine what high school would be like if your ex-boyfriend fired lightning when he was angry, the sporty girl in your class had enough strength to lift a flatbed truck, and you could charm your way out of trouble. When shy, sixteen year old, Olivia Hart, witnesses the actual rainstorm her ex-boyfriend, Max Smarr, creates in Pandora high school’s cafeteria, she’s convinced she’s lost her mind. Nothing will prepare her, however, for the discovery of her own special Gift. Olivia Hart has always been satisfied living in the shadows of her peers, and so high school doesn’t get any easier when her charismatic brother goes off to college and her relationship with her edgy boyfriend comes to an end. When she comes across an antique charm, she finds out that she can compel people with her mind and hiding is no longer an option. With the help of her friends in the Gifted Program and each of their special Gifts, what happens next in this young love and coming of age story will force Olivia into the spotlight, test her friendships, and cause her to question her role in a society. 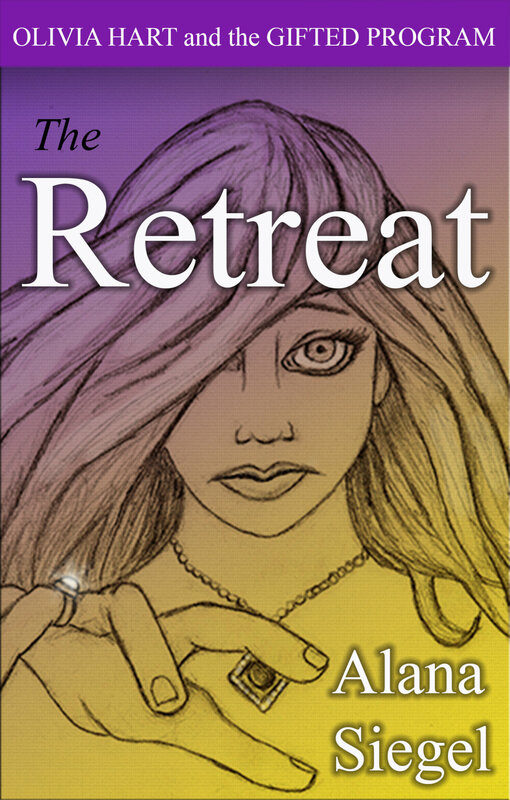 THE RETREAT is a young adult fantasy novel and book #2 in the Olivia Hart and the Gifted Program series. Just a few months ago, Olivia Hart and Jaime Forte were shy girls, entering another high school year with apprehension. Discovering their special Gifts changes everything. They approach the spring of their junior year more confidently, as independent and self-sufficient young adults. Olivia has even managed to snag Justin Benz as a secret boyfriend. The kids in the Gifted Program realize quickly there were many things their ex-teacher, Ms. Magos, wasn’t completely honest about. With no one left to answer their questions, Jaime speculates that a relative chooses the most worthy descendant to pass on their Gift. She convinces her friends that her great Aunt Evelyn can reveal the details of their jewelry’s past and teach them about their Gifts. Olivia’s insecurities have her wondering why a relative from the charming Elste family would pick her to receive a Gift instead of her charismatic brother. Then she learns the immense strength of her Gift. Once again, Prometheus will force this tight-knit group of exceptional teenagers to face their true feelings about themselves and each other. 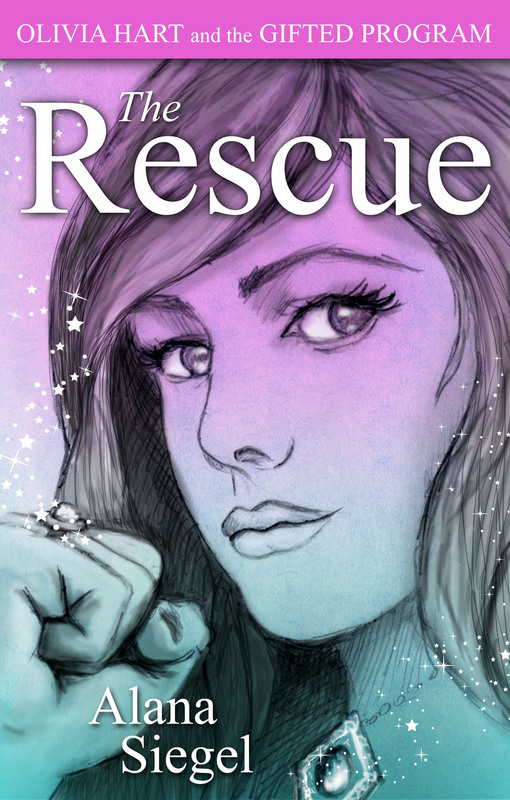 THE RESCUE is a young adult fantasy novel and book #3 in the Olivia Hart and the Gifted Program series. Olivia Hart believes there is no governing body or diabolical force that can keep her and Justin Benz apart. She loves him. Of course, that was before she regains consciousness in Prometheus’s Fort Bliss and discovers her friends have been hauled off to the Meta’s prison. Olivia is forced to pacify Mr. Dimon and conform to normal high school life in Pandora, but she knows as long as the only female Elste in the world lives there, it is a dangerous place. THE LIGHT OF SUPREMAZIA is a young adult fantasy novel and book #1 in the (after)life lessons series. Think it’s difficult to get into Harvard University? Try Vita Post Mortem Academy, a prestigious high school where John F. Kennedy teaches a class called American Ghosts stories, Albert Einstein grades science tests, and history’s most brilliant and deceased minds make up the rest of the teaching staff. Not a problem for Jules Winklevoss, one of the few who can see spirits. Getting into school was a cakewalk, but Jules learns not all spirits are engaging and inspiring teachers. Fourteen years ago, Jules’s family thwarted an evil spirit’s rise to power. Now, the evil spirit wants revenge on all Winklevoss’s, beginning with Jules. As if evil spirit problems aren’t enough, add best friend drama, unattainable boy crushes, and homework to the mix, and needless to say, high school is going to be dreadful. Jules is determined to protect her family and keep herself alive, even if that means delving into the world of the dead.